Calendar provides the multi-view representation to display and select one or more dates within specified ranges. 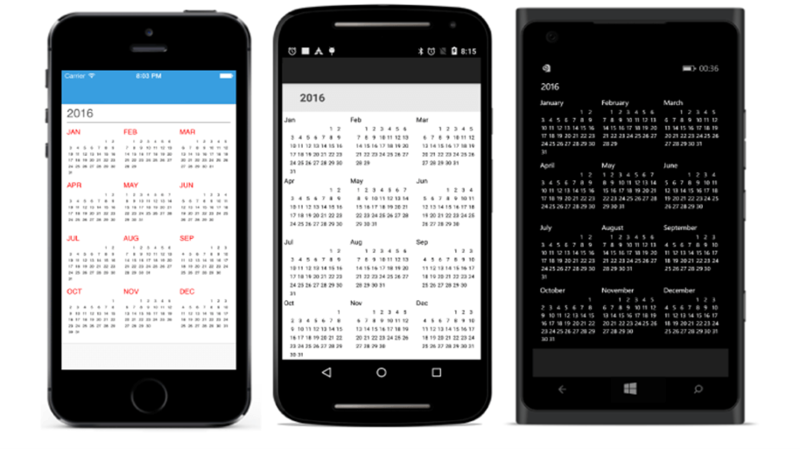 It can be used in various scenarios like ticket booking, events notifying, display working days. 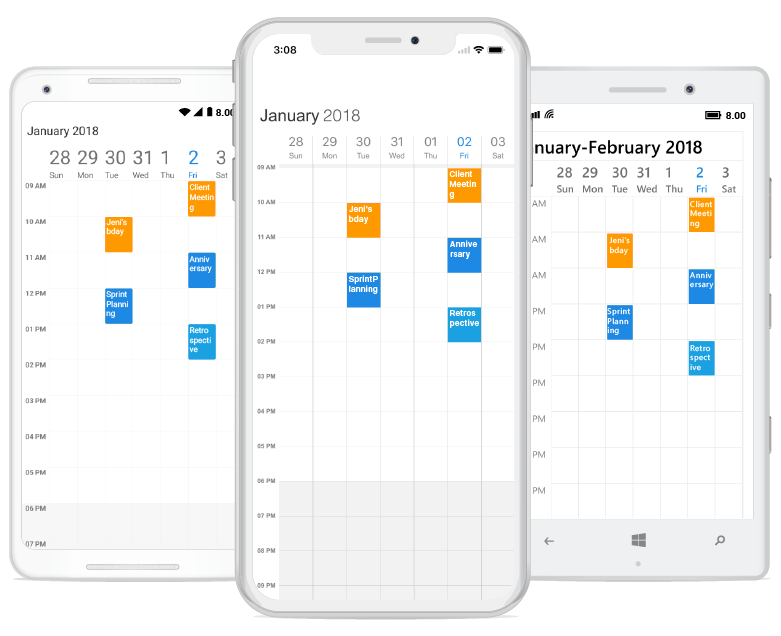 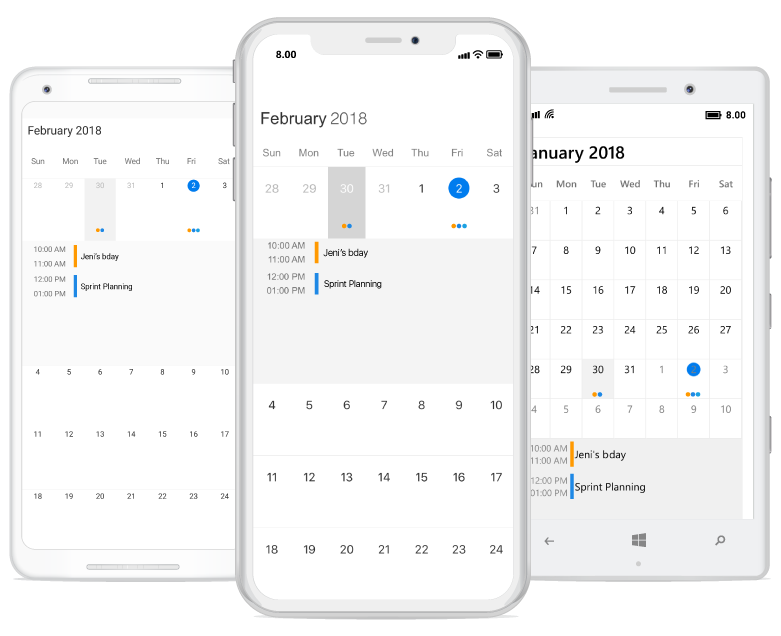 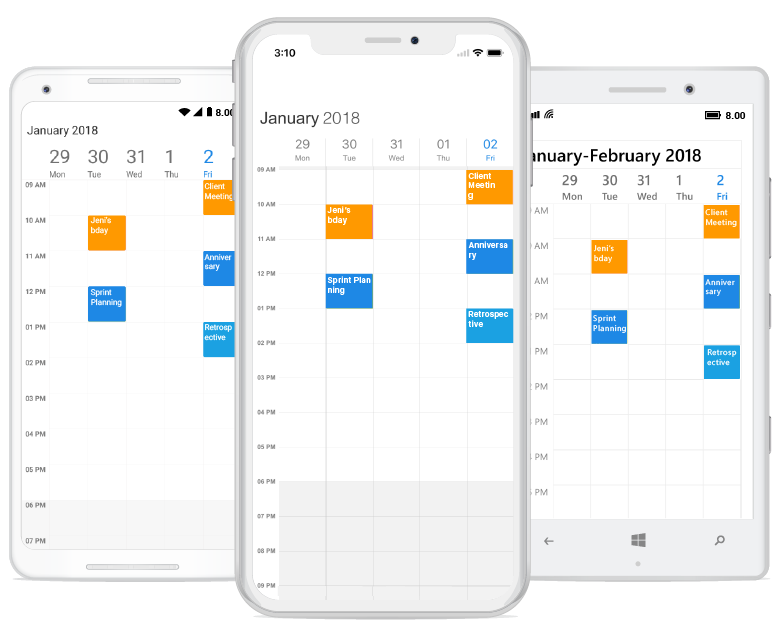 Schedule provides all the common scheduling functionalities to create and manage appointments. 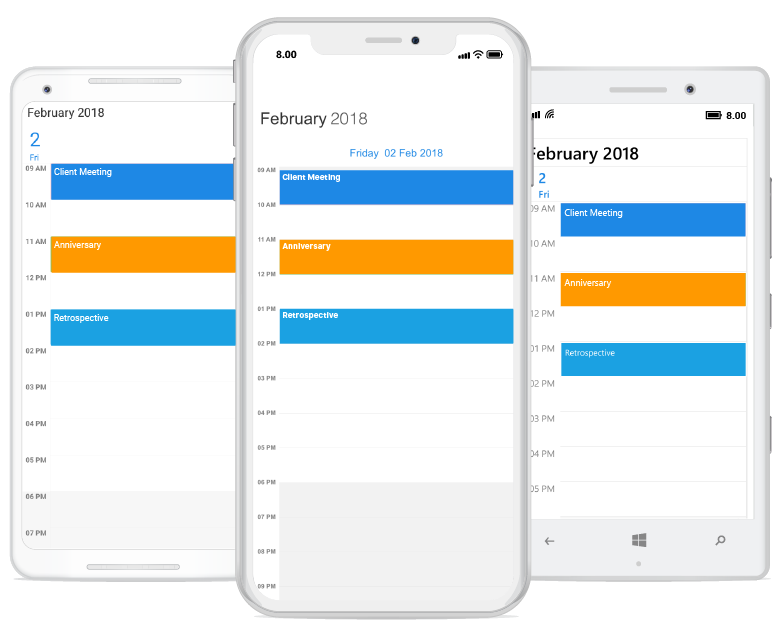 Schedule control is a perfect solution for developers looking to add advanced, feature rich Schedule to their applications.